HyperX has announced that it is the exclusive peripheral and memory partner for Intel Extreme Masters season 13. “The extension of this partnership demonstrates the great strength of our long term relationship with HyperX,” said Michal Blicharz, Vice President of Pro Gaming at ESL. 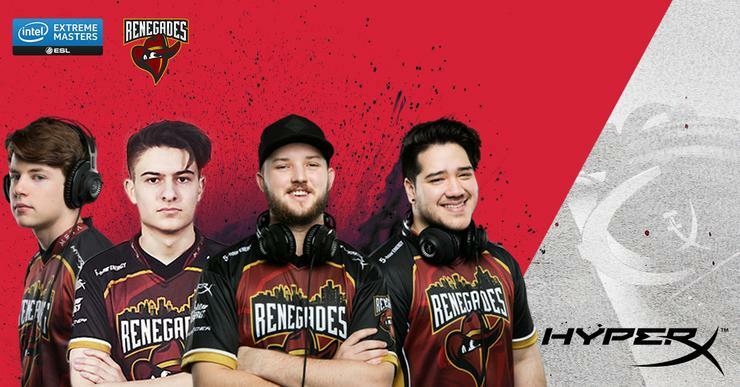 In addition to keen competition, HyperX is also thrilled to host the world-renowned esports teams - Cloud9 and Renegades at its stand. Fans who want to meet their heroes can come and personally meet them and get their autographs. From May 4th to May 6th, HyperX will also provide incredible on-site price discounts for the purchase of award-winning HyperX gaming peripherals. Gaming challenges across fan-favourite games including CS:GO, Street Fighter V, and Dragon Ball FighterZ will also take place at the HyperX stand every day. The brand new console gaming headset - Cloud Stinger Core - will also be exclusively available at the event in limited quantities.